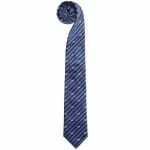 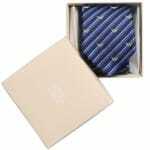 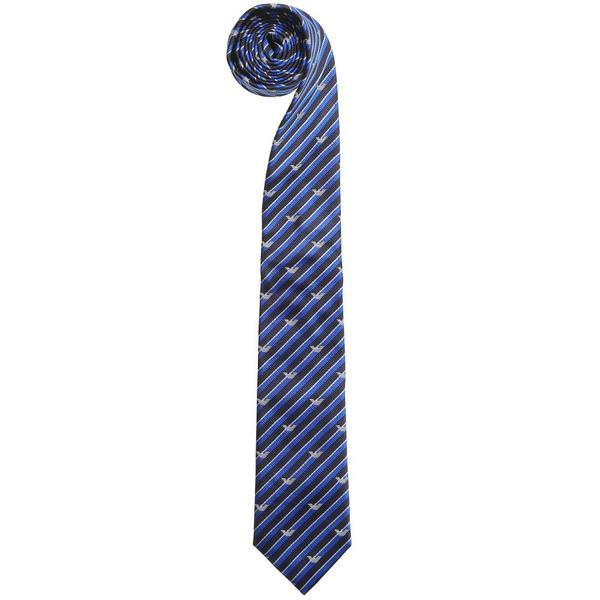 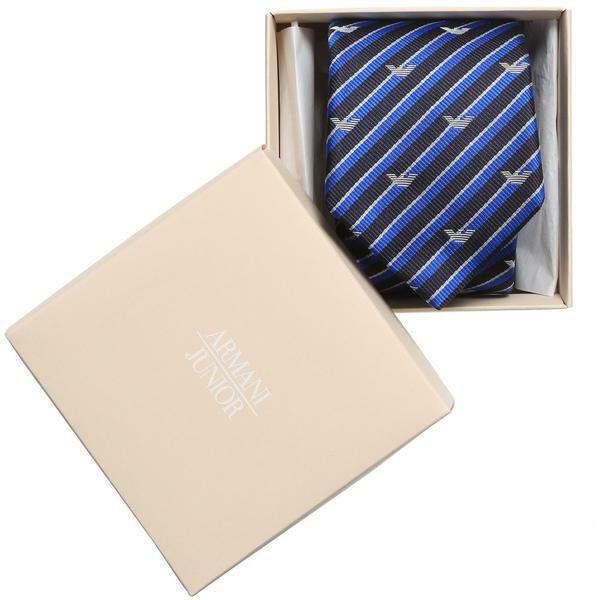 Armani Teen boys blue striped silk tie with stylish design and soft feel. 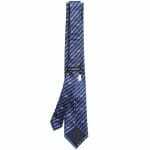 It has contrasting stripes in silver grey, navy blue and bright blue. 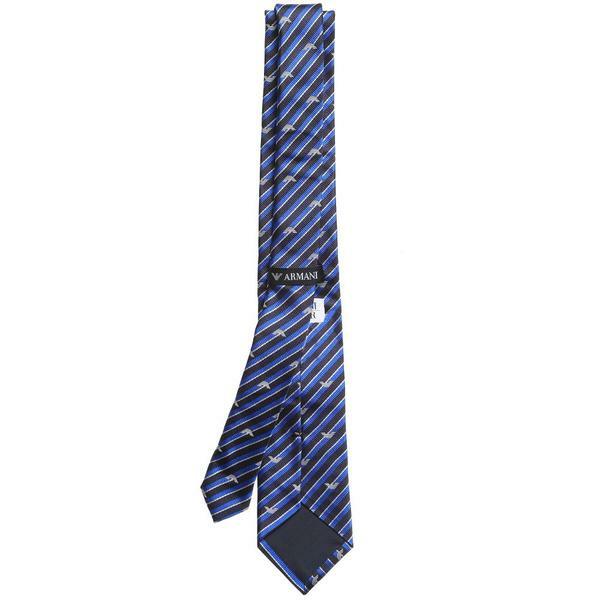 The tie has a designer’s Armani eagle logo printed throughout.